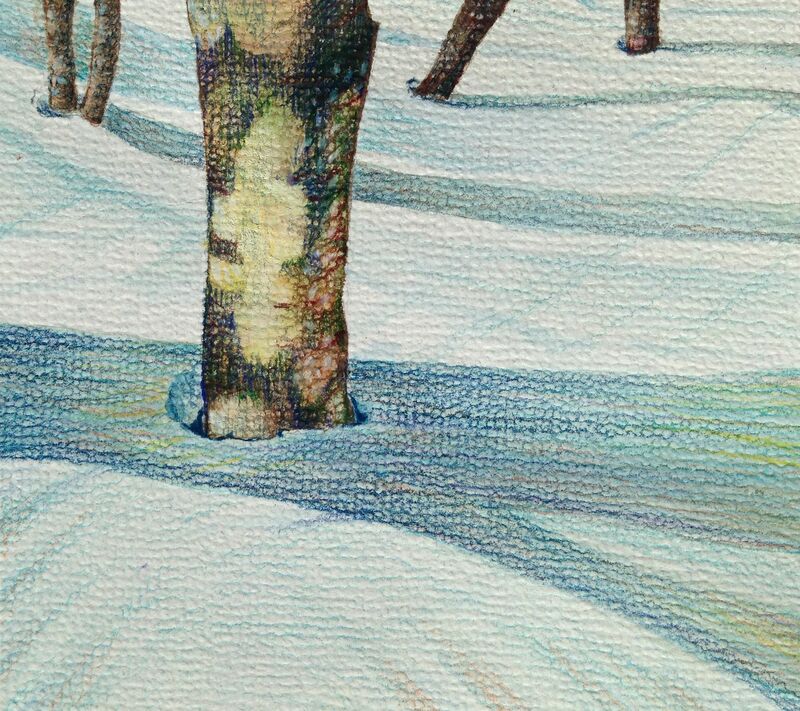 The snow shadows are a good series to work on because they force me to see simple shapes but offer up an opportunity to really add color from my imagination. I love this perspective…it slows me down. I am working on adding movement to the work, the watercolor is a little stiffer. The casein has a fluidity that is so different from the watercolor, and it can be worked into. I think I prefer it. The other thing that is nice about the casein is the white takes on layers of other color so well…and snow is rarely really just white. This one is in progress…I think I will do several of this composition and try to keep improving on the work. 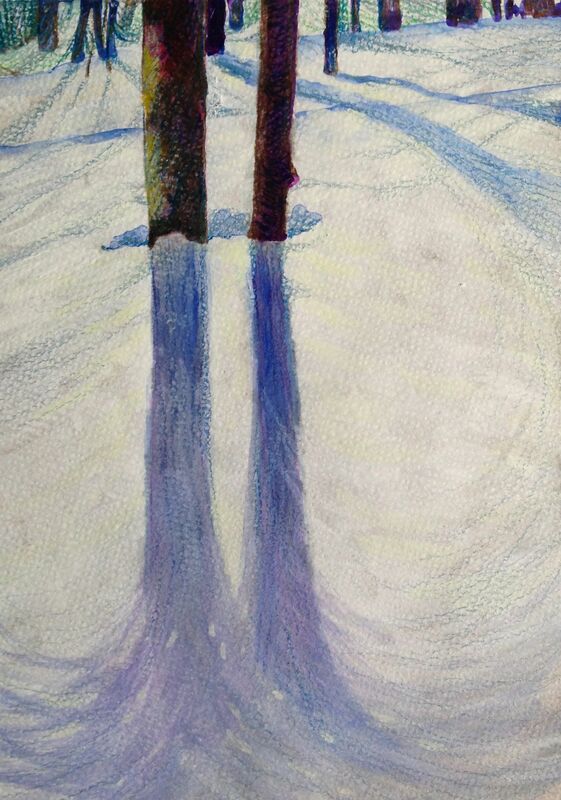 This entry was posted in Uncategorized and tagged casein, small paintings, snow shadows, watercolor, winter. Bookmark the permalink.